The Berry Patch child care Botany centre is your kid’s home away from home. With fun-filled activities and enjoyable learning sessions, your child will develop the skills necessary for their transition to big school. Our preschool program is guided by the Early Years Learning Framework and caters to children aged 6 weeks to 6 years. Our objective is to provide a secure learning environment for children that will help them maximise their potential. Want to learn more about our child care centre programs and policies? We will be glad to answer any of your questions. Feel free to call us on (02) 9191 1591 or email us at brighton@berrypatch.com.au. You may also visit our childcare centre at 226 Bay Street Brighton Le Sands NSW 2216. Our childcare centre is open Monday through Friday from 7:00 am to 6:00 pm with just a short 10-minute drive from Botany. 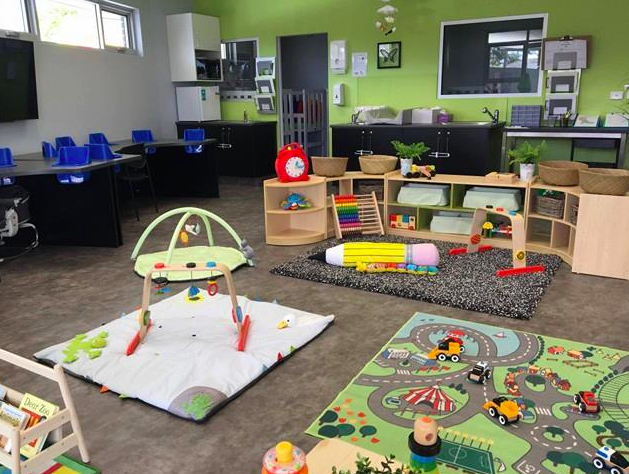 Our child care Botany centre is designed to facilitate exploration and sensory play. The highlight of our outdoor areas is two playgrounds. Baby Berries (0-2 years old) have their own play area while Raspberries (2-3 years old), Blueberries and Strawberries (3-5 years old) share a separate playground. Our outdoor environments are earthy and natural surrounded by real plants and trees. Children will be immersed in numerous textures including artificial grass, soft fall, pebble paths, timber decking, and sandstone pits. These spacious and vibrant areas provide kids with a lot of areas that they can play on and explore. Our outdoor areas also include obstacle course, slippery dips, stepping stones, wooden bridges, timber deck stages and cubby house. In addition, they also have grass mounds and footpaths for children who love riding their bicycles. The Berry Patch preschool and long day care centre is staffed by fully-trained early childhood educators. Their qualifications range from a University Degree to Certificate III in Early Childhood Education. Our child care centres also have a higher staff-to-children ratio than average, ensuring a better quality education and care. For the best child care Botany centre, visit Berry Patch preschool and long day care centre. Visit us at 226 Bay Street Brighton Le Sands NSW 2216. You may also call us on (02) 9191 1591 or email us at brighton@berrypatch.com.au.